2014 is a big year for the Baroudeurs. It’s our fifth year toghether on two wheels! Both in London and in Singapore, more and more incredible people are discovering that they just want to ride their bicycle and choose the Baroudeurs as their club of choice for the journey. We want to say thank you for helping make this trip bigger, better, and definitely more challneging than we ever imagined. “Thank you for your interest! London Baroudeurs is growing and new members are always welcome. 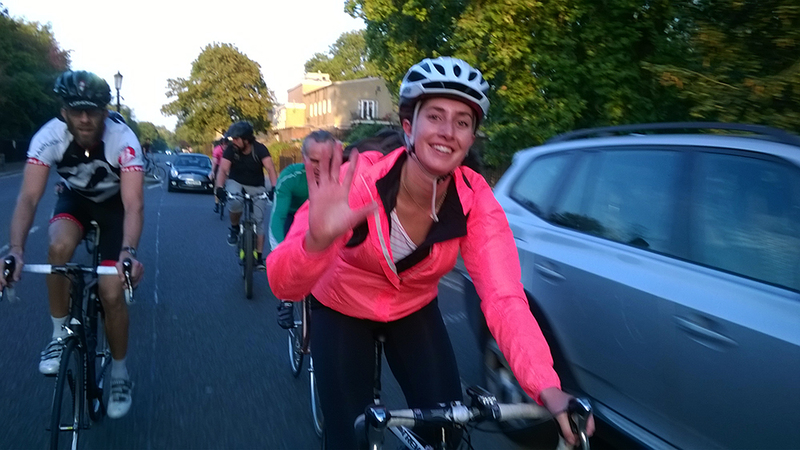 We have a monthly open-invite ride called the Baroudeur Big Ride (BBR) which is a conversationally paced 50 mile loop starting and ending at Richmond Park, west London. 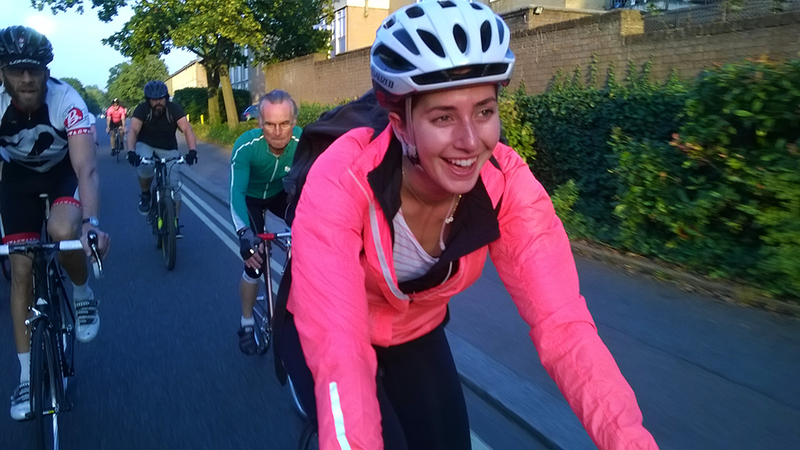 These rides are ideal for those who are new to group riding as well as more experienced riders who want to see whether we’re the club for them. No one is left behind, group-ride etiquette is explained (and hopefully modelled) as we go along and there’ll be a stop for cake on Box Hill to aim for. Let me know if you’d like to come along – the next one is on Sunday 12th October. 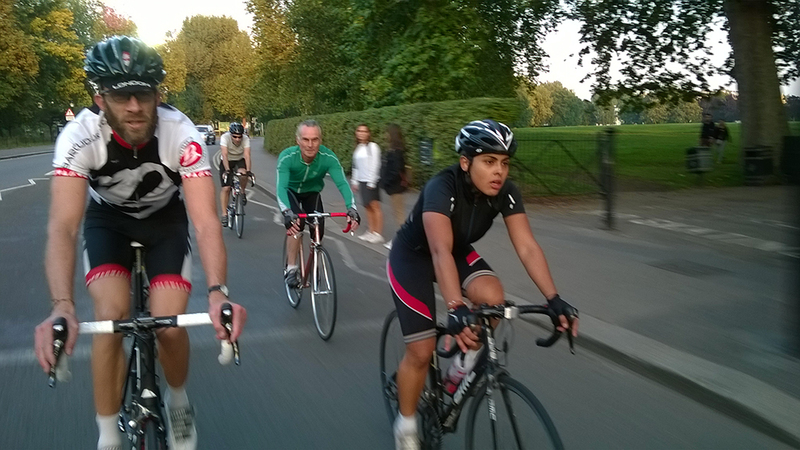 If you’d like to start with something smaller, we ride every Monday evening, again at a conversational (recovery) pace around Regents Park from 5.15pm until around 7pm, rain or shine. There are also Baroudueurs doing laps of Regents early on a Wednesday from 6-7.30am which is faster (20mph average), and often there’ll be another group out on Thursday evening from 5.30-7pm. Again, let me know if you’d like to come along. For our regular Sunday club runs, racing, sportivs/endurance events and to wear our club kit, you’ll need to join us officially (details are on the website.) General advice about what to/what not to bring on a BBR can also be found here. One thing that’s a given is that you’ll need a road bike – no hybrids or MTBs, please. I think that’s all. Do let me know when you’d like to ride, and I’ll arrange for someone to meet you.